what are your opinions on the new mlb network channel??? Discussion in 'MLB' started by riskybzns, Jan 7, 2009.
i haven't watched it that much, but what i have seen has been pretty good. From the little I've seen on Hot Stove, Al Leiter is pretty good. It's also nice to see Harold Reynolds back on TV and talking baseball. I can't wait to watch more of it then will give you a report. How's Barry doing? I haven't watched the channel yet, but I know Lark is on there. I haven't gotten a chance yet either, but thanks for the reminder. Last night, they had a review of the 1995 season. It showed Barry making a few comments. I am loving this channel and the fact Barry Larkin on it makes it better. Some nice nostalgia on there. I'm sure it will get more interesting once spring training gets going. The Hot Stove show is quite in-depth. However, there's just not that much going on, so any little news item is treated like breaking news. As free agent transactions pick up, it will be more interesting to watch. It's pretty darn good with nothing going on with baseball yet. It's going to be even better once spring training starts right into the season and we can hear about all the teams and what they are doing. I love the channel. Another great reason to NOT watch BSPN. Another great reason to NOT watch BSPN. i've seen alot of mis-schelduling. like right now, its showing that the 89 game 2 of the alcs between toronto and oakland is suppose to be on, but instead they are showing game 5 of the ws between tampa bay and philly. one thing you gotta love is how slow the headline ticker moves. Yes, that is cool just to tune into that. I just saw on the MLB channel that Rickey Henderson and Jim Rice have made the MLB HALL OF FAME. 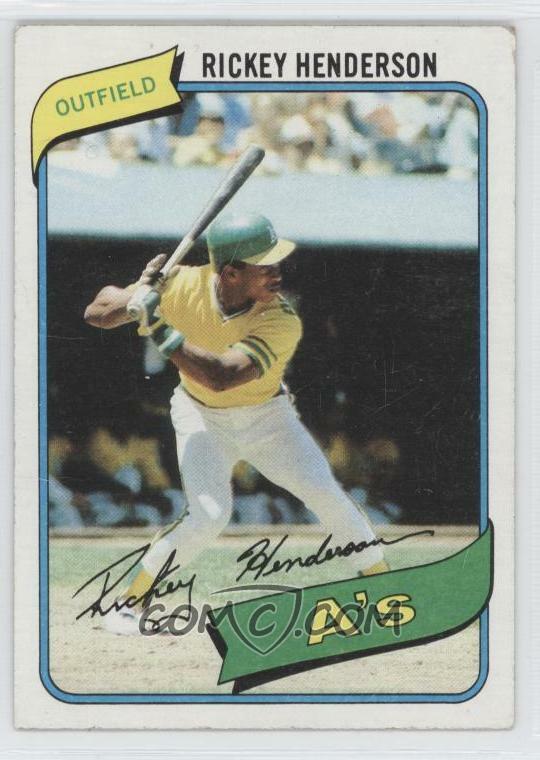 Anyone else think Rickey Henderson probably "juiced" a few times during his career? He always looked pretty jacked to me (check out that right forearm). And he played with Mark McGwire and Jose Canseco in Oakland. Maybe I'm wrong, but I think almost anyone from that era is open to suspicion now. Just about as long as Goose Gossage's resume. I think it's safe to say he'll go in as an Athletic though. Bert not happy. I do not blame him. After 12 years of falling short, Bert Blyleven is tired of waiting to be elected to baseball's Hall of Fame. But he's even more tired of pretending it doesn't bother him. "I feel like crap," the 287-game winner said in an interview on ESPN Radio on Tuesday, one day after falling 67 votes shy of the 75 percent necessary for election. "It's year after year. When you have Hall of Fame numbers, and then you're snubbed again, you're supposed to do the politically right thing and say, 'Oh, hopefully my time will come next year.' I think it's a bunch of crap." Blyleven skipped his now-annual routine of speaking to Twin Cities media, including the Pioneer Press, on Monday, then made it clear to ESPN how frustrated he is to remain outside the hall after a dozen elections by the Baseball Writers' Association of America. "It's not right," said the Twins broadcaster, whose 338 votes were only two more than last year's total. "I considered myself a great competitor, and all of a sudden, you are dictated (whether you go) into the Hall of Fame by writers that never played the game. I always had trouble with that." Blyleven admitted that a Hall of Fame induction would be one of the highlights of his life and said "the writers need to do their homework a little better. They need to ask other players (who) competed against that individual. ... I'm happy for Jim Rice, I'm happy for Rickey Henderson, but there are some guys who get snubbed, and it's not right." The 22-year veteran, who won 149 games with the Twins, cited his own rÃ©sumÃ© — 60 shutouts, nearly 5,000 innings, 242 complete games — as well qualified for entry. "Numbers don't lie," he said. "The Hall of Fame is supposed to be about numbers. It's not about your personality, it's not about how you got along with the media, it's about numbers. ... This is ridiculous. I'm sorry, I have a tough time dealing with it year after year." Which is why he attended a Twins fantasy camp Monday, he said, a nice break from having to talk about another frustrating vote. "You try to be as politically correct as you can," Blyleven said, "because you don't want some writer to listen to this interview that we're having right now and say, 'What a jerk, I'm never voting for him.' But you know what? He probably didn't vote for me anyway." Blyleven needs to be in, but complaining about it isn't going to help his cause any. Look at Pete Rose, still whining about being banned from baseball years later, and pretty much burning any bridges he had of getting back in by doing so. Had he just shut his mouth and quietly applied for re-instatement and not wrote a damn book whining about it and taking it to the press, he might have gotten in. Bert complaining about this is just going to piss off the writers and now they definitely won't vote for him next year. Bert should just shut his mouth, just like Rose should have. Full disclosure-I'm a diehard Reds fan, but I think Rose is a douche.